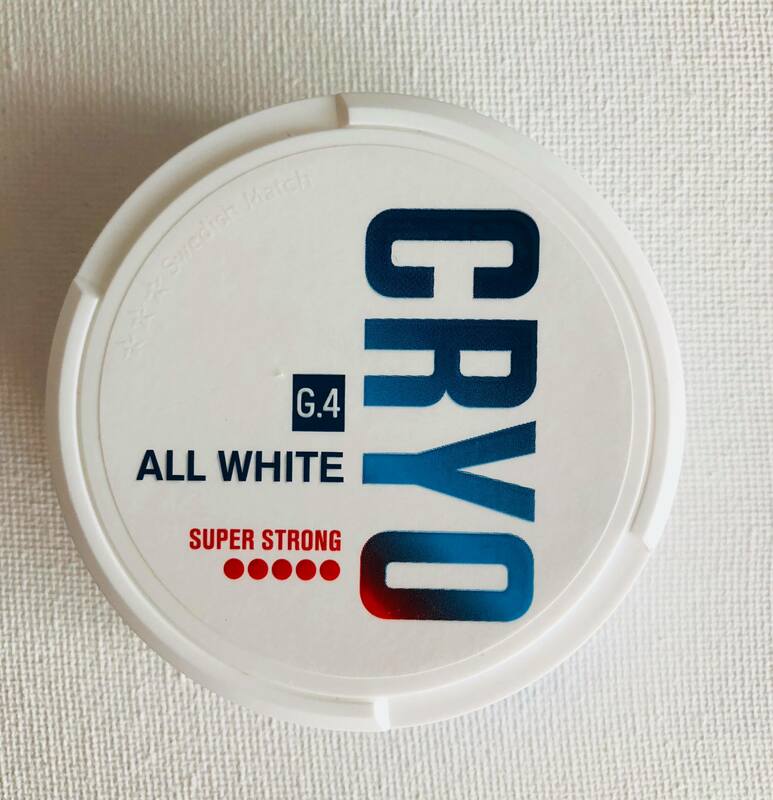 Released just this Spring by Swedish Match, G4 Cryo Super Strong Slim is an extra strong mint dominant snus with hints of vanilla. 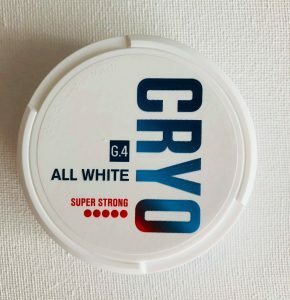 Much like G4 FU:ZN, G4 Cryo Super Strong undergoes a special purification process to render the snus white and stain-free. 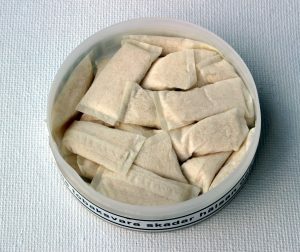 First introduced with the Epok lineup of snus a few years ago, white colored suns has rapidly become a popular trend with a number of manufacturers hopping on the bandwagon. As someone who is occasionally known to fall asleep with a portion in, white snus’ stain-free properties is something that I’m a big fan of, and so I find it great to see more and more purified snuses get released. G4 Cryo Super Strong Slim comes with 24 0.8 gram portions, each containing 17.6mg of nicotine for a total of 19.2 grams of snus per can. Not long after opening my can of G4 Cryo, I began to notice a peppermint aroma with hints of sweetness in the background. After putting in a portion, I quickly began to feel a cooling sensation take hold, followed by a peppermint taste within the next few minutes. The peppermint was not too strong and had a touch of sweetness to it, and I also noticed slight hints of green mint in the background. Although Swedish Match mentions that G4 Cryo also contains hints of vanilla, I didn’t really notice much in the way of vanilla as the mint overpowered it. 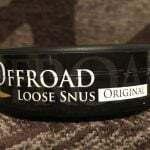 Interestingly, I also noticed a tingling sensation which reminded me a bit of Skruf original, and as someone who enjoys snus with a bit of ‘bite’ to it, I found this to be very enjoyable. The portions are long and slim, and combined with their very soft texture make for a very pleasant experience. 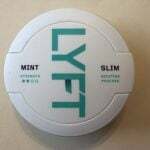 I found that the portions produced a strong nicotine buzz quite rapidly due to being slightly moist, and the kick is definitely the strongest of any white snus that I’ve tried. I was usually able to keep portions in for a little over an hour before I removed them due to a decline in flavour and nicotine strength. As a whole, I have to say that I’m a pretty big fan of G4 Cryo Super Strong Slim. The high nicotine content packs a real punch, and the cooling peppermint taste is highly refreshing in the warm summer heat. 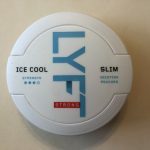 I recommend Cryo Super Strong to those looking for a tasty mint dominant snus with a strong kick, and I find that it tends to pair especially well with an ice cold mojito for a relaxing experience!